Cities relying on smart city solutions find value in core technologies, such as compute, storage, databases, and data warehouses; and advanced technologies like big data analytics, machine learning, Internet of Things (IoT), and artificial intelligence. A critical ingredient for any smart solution is data. It offers insight into the status of municipal processes, and the changes required to meet local government objectives. This year, the City of Virginia Beach, Virginia, and Kansas City, Missouri, stood out for their ability to combine the power of data and smart solutions for the betterment of citizens. This earned them top spots in IDC’s first innagural Smart City North America Awards. City of Virginia Beach, Virginia: Virginia Beach succeeded in the development of StormSense, a cloud-based platform consisting of sensors that forecast rising sea levels and coastal flooding 36 hours ahead of a weather event. It aims to enhance the capability of Virginia Beach and the neighboring community of Hampton Roads, VA, to predict the effects of storm surge, rain, and tides, in ways that are replicable, scalable, measurable, and make a difference. The scope of the project includes the interests of coastal local governments seeking to enhance their emergency preparedness via a network of IoT-enabled water-level sensors, and leverages the hydrodynamic flood modeling and forecasting capabilities of the Virginia Institute of Marine Science and their TideWatch Network. See here for more. Kansas City, Missouri: Kansas City created a unified smart city platform to manage new systems operating along its KC streetcar corridor. Video sensors, pavement sensors, connected street lights, a public WiFi network, and parking and traffic management have supported a 40% reduction in energy costs, $1.7 billion in new downtown development, and 3,247 new residential units. With troves of data being generated from these devices, the city set out to work with Xaqt, an AWS Partner that offers urban analytics and intelligence support. 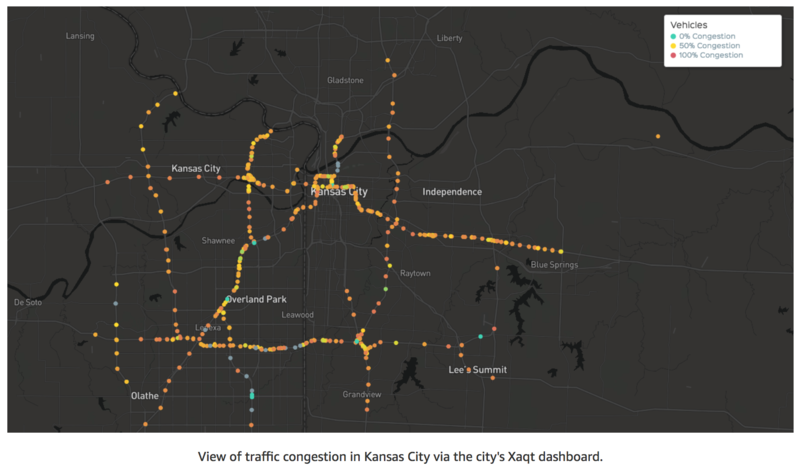 Using this system, Kansas City can now make accurate predictions that save money, while improving safety and convenience for its citizens. See here for more. Here are some other examples of how crowdsourced data – when augmented with sensor data and data from internal systems – can yield richer intelligence, better public services, and improved quality of life. Newport, Wales: Standing at the gateway between England and Wales, Newport has demonstrated its ability to grow into a center of modern industry and commerce. 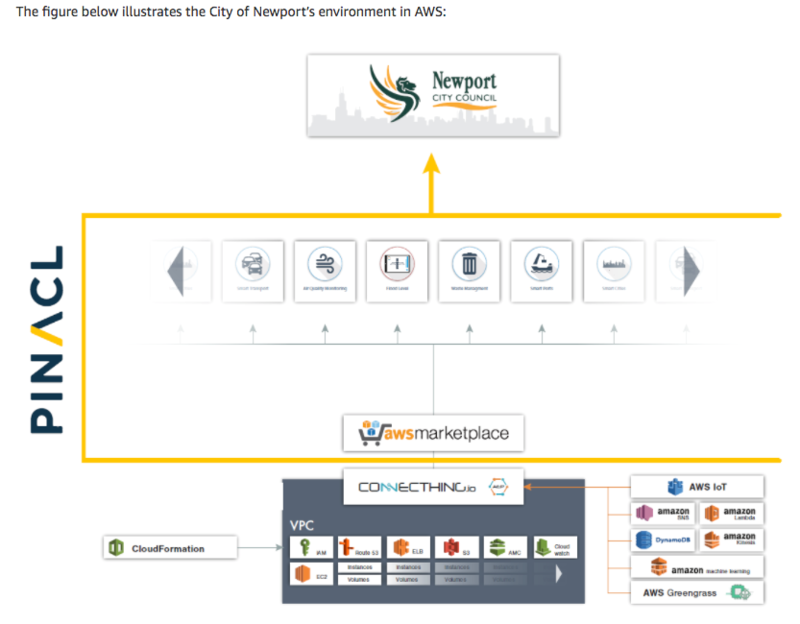 As part of its smart city initiatives, Newport deployed IoT solutions to improve air quality, flood control, and waste management, in just a few months. While a traditional infrastructure would have made this at least a yearlong process, collaboration with system integrator Pinacl Solutions, IoT-solution provider Davra Networks, and AWS, has helped expedite this evolution. See here for more. 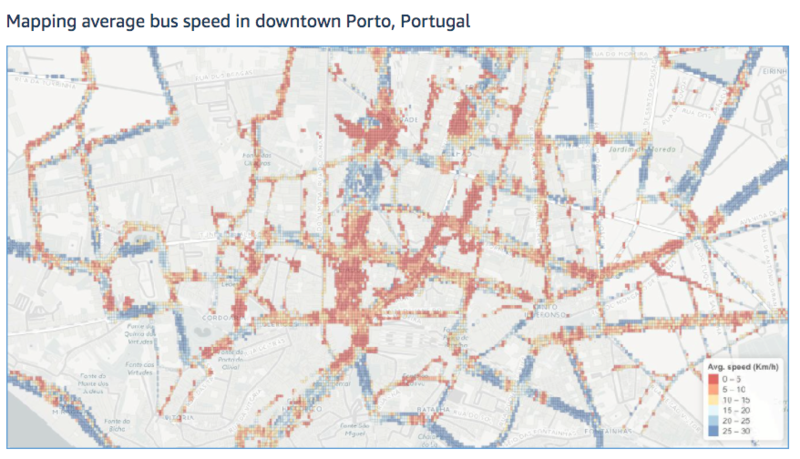 Porto, Portugal: City of Porto, the second largest city in Portugal and one of the major urban areas in Southern Europe, sought to minimize the digital divide expanding Internet access for its citizens. When weighing its options, the city hoped to use infrastructure enhancements to boost city operations and the efficient use of resources. Porto officials became interested in a solution developed by Veniam, an AWS Partner, offering a low-latency, real-time, vehicle-to-everything communication solution. Veniam’s smart city solution provides the Porto with high-value urban data, which serves to enrich the municipality’s services. 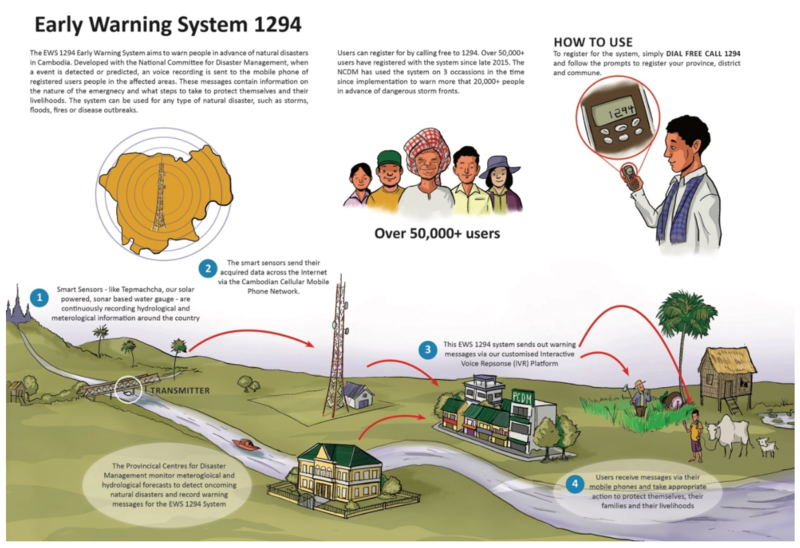 The mesh vehicular network is working as a complementary infrastructure to the already existing fiber and Wi-Fi networks, thereby increasing the range and quality of free Internet connectivity for citizens. See here for more. Spectrum by Miovision: Headquartered in the Waterloo region of Ontario, Canada, Spectrum by Miovision provides a turnkey solution offering the data, connectivity, and tools needed to remotely manage traffic signals. The Spectrum SmartLink and Interface hardware integrate seamlessly with existing traffic cabinet hardware and software. Spectrum also includes Miovision Signals, cloud-based software tools to remotely monitor and manage a traffic network. Through connected devices and intelligent analytics, Miovision empowers more than 17,000 municipalities in 50 countries to make cities smarter by improving transportation capacity, safety, cost-effectiveness, and performance. See here for more. Moovit: Headquartered in Israel, Moovit is redefining the transit experience by giving people the real-time information they need to get places on time. With schedules, trip planning, navigation, and crowdsourced reports, Moovit guides transit riders to the best, most efficient routes, and makes it easy for locals and visitors to navigate cities around the world. Moovit’s free, award-winning app serves nearly 80 million users across 1500+ cities in 78 countries. See here for more. Kingdom of Cambodia: The 2013 floods in Cambodia covered almost half the country and affected nearly 1.7 million people. More than 50 people lost their lives and hundreds of thousands more were left homeless. People in Need Cambodia, a non-governmental, nonprofit organization, developed the Tepmachcha, a solar-powered, GSM-enabled, sonar-based stream gauge, built on open-source technology. These flood detection units improve the existing methods of flood forecasting and early warning in Cambodia. See here for more. Learn more about AWS for smart, connected, and sustainable cities, and check out our interview with Xaqt’s CEO in episode 2 of the AWS Public Sector Podcast. Do you have a smart city idea that you want to showcase and expand or make a reality? Apply now to the AWS City on a Cloud Innovation Challenge for your chance to win $50,000 in AWS Promotional Credits.